Let me preface this by admitting that I am not a wedding professional. I am basing my suggestions on having planned my own wedding and on having seen way too many episodes of reality shows like “Bridezillas”, “Say Yes to the Dress”, and “My Perfect Wedding”. From the former, I learned what works in planning a successful wedding. From the latter, I learned what absolutely does not. 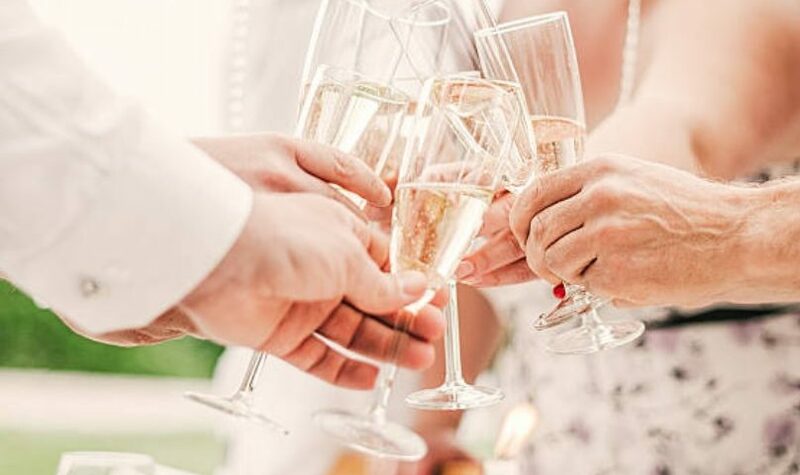 Throw in a little common sense, and you get these three rules which will help you plan a lovely, stress-free wedding. A little organization goes a long way in terms of saving you time and energy. Making a list of what needs to get done will help you prioritize your time and budget. 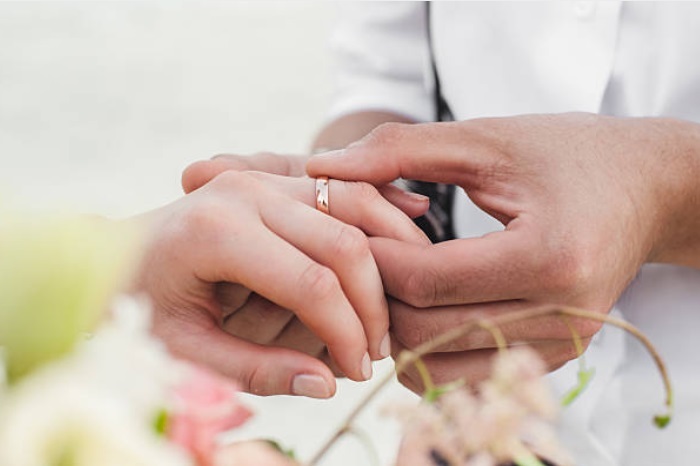 Advance planning will help you make the most of both the expertise of the vendors and wedding professionals with whom you work, and the time and talents of friends and family who want to help out. For example, when you go to a bridal salon to try on wedding gowns, don’t go in with no idea of what you’re looking for or what your budget is. Spend some time browsing through bridal magazines and cut out a few pictures of gowns you like. Think about what specifically you like about each one – is it the beading? The neckline? The silhouette? If you pick out your ideal dress but the salon doesn’t carry it or it isn’t flattering on your figure or you just can’t afford it, knowing the features you like will help your consultant find an alternative that appeals to you, flatters you, and fits your budget. Be realistic about your budget. You may have always dreamed of a guest list of 300 of your closest friends and family, or wearing that huge diamond ring with a center stone over 5 carats or wearing a Pnina gown and hand-beaded Jimmy Choos, or arriving in a carriage pulled by six white horses, but are those plans realistic, given your budget? Are you willing to sacrifice other aspects of your wedding for that one perfect thing you just HAVE to have? Are you willing to take on thousands of dollars of debt for it? Be realistic about your budget and be ready to make those difficult decisions. Be realistic about logistics. Maybe you’ve always wanted to get married at an intimate walled garden in your hometown, but there just won’t be room for your fiance’s eight siblings and their spouses plus all your sorority sisters plus the other 200 guests your parents insist be invited. Or maybe you’ve always wanted fourteen bridesmaids all carrying some rare flower that just isn’t available for your November wedding. Understand that you can’t change the laws of physics or nature just to suit your own whims. It’s all too easy to fall into the trap of “It’s MY day, I should get everything I want,” even if everything comes at the expense of vendors and friends. Of course you want your bridesmaids to wear the dresses you’ve always imagined, but if those dresses happen to cost $750 and all three of your bridesmaids have just graduated from medical school AND live on the other side of the country, ask yourself if you’re being reasonable. If you plan on having a destination wedding, be reasonable about your expectations of who will attend – don’t be disappointed if you only have a handful of guests. Try putting yourself in the shoes of the people you’re dealing with – if you wouldn’t want to be asked to stay up making favors till 3am, or to pay to fly to Vegas for a bachelorette party, or to wear an unflattering dress, chances are your friends wouldn’t either. Be reasonable when you’re dealing with vendors and wedding professionals, as well. Remember that they have handled dozens, hundreds, even thousands of weddings. They’ve seen much more than you have, and they have resources you can’t dream of. If you’re ready to be reasonable and listen to their suggestions, they can help you find compromises that will suit you and your budget. Your florist can suggest flowers similar to what you want but can’t afford or that aren’t in season for your wedding. Your caterer might know of a venue similar to your dream garden but that can seat twice as many guests. Your bridal salon consultant might have a dress style you hadn’t considered that will be more flattering than anything you’d imagined. If you’re willing to be reasonable, you’ll end up with fantastic resources you can tap into. So remember: be organized, be realistic, and be reasonable, and then there’s no reason you can’t plan the wedding of your dreams with no stress, no strained friendships, and no burned bridges. And, just for the record, if at the end of your wedding day, you’re married to the man you love, your wedding was a success. Anything beyond that is just gravy.